TriniLan is 100% lanolin. 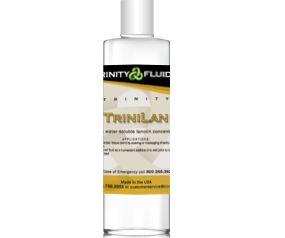 This highly concentrated water soluble oil will blend well with the arterial fluids to create a very viscous fluid. Adding a few ounces to a tank will enhance the fullness of the tissue. As an added bonus you can also use it externally on skin to bring back dry dehydrated skin or keep supple when exposed to air for long periods of time.